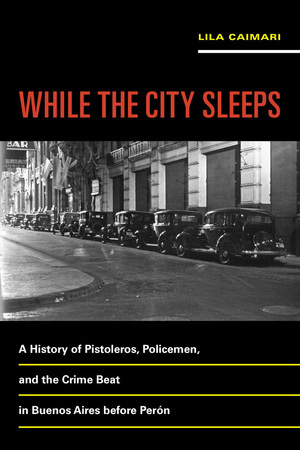 While the City Sleeps is an extraordinary work of scholarship from one of Argentina’s leading historians of modern Buenos Aires society and culture. In the late nineteenth century, the city saw a massive population boom and large-scale urban development. With these changes came rampant crime, a chaotic environment in the streets, and intense class conflict. In response, the state expanded institutions that were intended to bring about social order and control. Lila Caimari mines both police records and true crime reporting to bring to life the underworld pistoleros, the policemen who fought them, and the crime journalists who brought the conflicts to light. In the process, she crafts a new portrait of the rise of one of the world’s greatest cities. Lila Caimari is an Independent Researcher at the National Scientific and Technical Research Council in Argentina, where she studies and teaches the history of crime, journalism, and urban culture. She is the author of several books, including Perón y la Iglesia católica: Religión, Estado y sociedad en la Argentina, 1943–1955 and Apenas un delincuente: Crimen, castigo y cultura en la Argentina, 1880–1955.